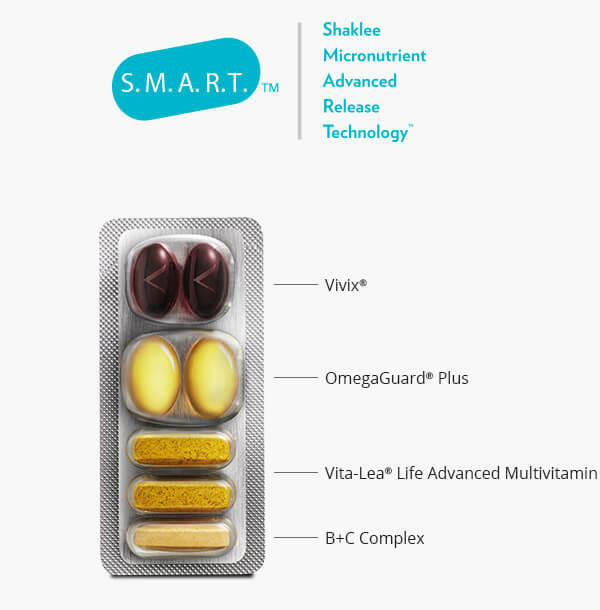 This proprietary nutrition system is backed by over 10 patents, and was developed from breakthrough clinical research including the Landmark Study, one of the largest studies ever on long-term supplement users which showed that Shaklee supplement users had markedly better health than non-supplement users. 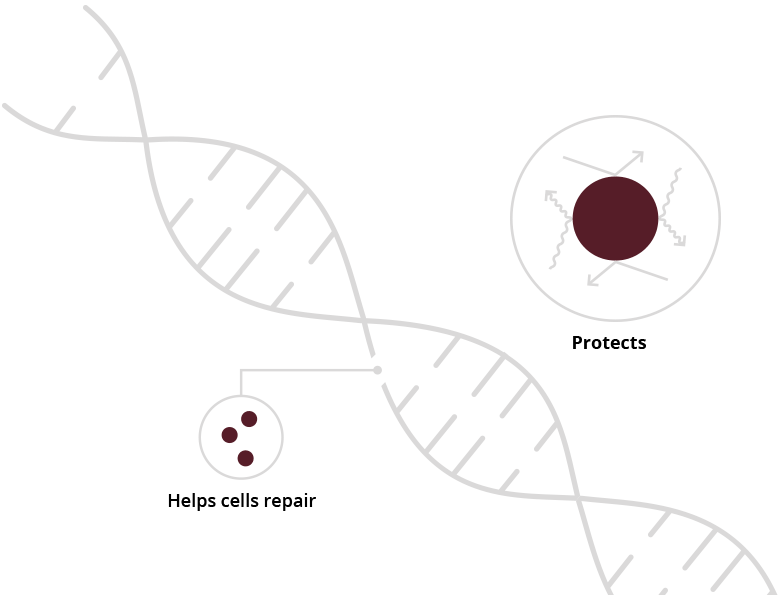 This science was combined with our telomere study to design the Shaklee Life-Strip™, which includes nutrients to help provide the foundation for a longer, healthier life. In the Shaklee telomere study, users of Shaklee supplements for at least 5 years had a 57% lower rate of age-related telomere shortening across the adult age range compared to non-Shaklee supplement users. Take one Life-Strip™ a day, every day. Best if taken with a meal. Patented S.M.A.R.T. delivery system to help improve absorption. Scentists believe daily cell damage from poor diet and environmental conditions may be a key factor in normal aging. **Percentages reflect Shaklee supplement users compared with non-supplement users. Data for nonusers was obtained from NHANES 2001-2002 and NHANES III 1988-1994. Long-term Shaklee users clearly demonstrated lower-levels of the most important heart-health biomarkers recognized by the American Heart Association. ∞Fisher, L., T. Ianiro, F. Lau, H. Wang and B. Daggy: Synergistic effects of phenolic mixtures in human cell models of aging. Experimental Biology 2015, Boston, Massachusetts, March 28-April 1, 2015. FASEB Journal 29:608.36, 2015. §Jang YP, Zhou J, Nakanishi K, Sparrow JR. Anthocyanins protect against A2E photooxidation and membrane permeabilization in retinal pigment epithelial cells. Photochem Photobiol. 2005 May-Jun;81(3):529-36.